Hessian (or burlap as it is also known in the US and Canada) is a woven fabric usually made from skin of the jute plant or sisal fibres. It is a loosely woven, coarse fabric with a distinct sacking smell and frays easily. 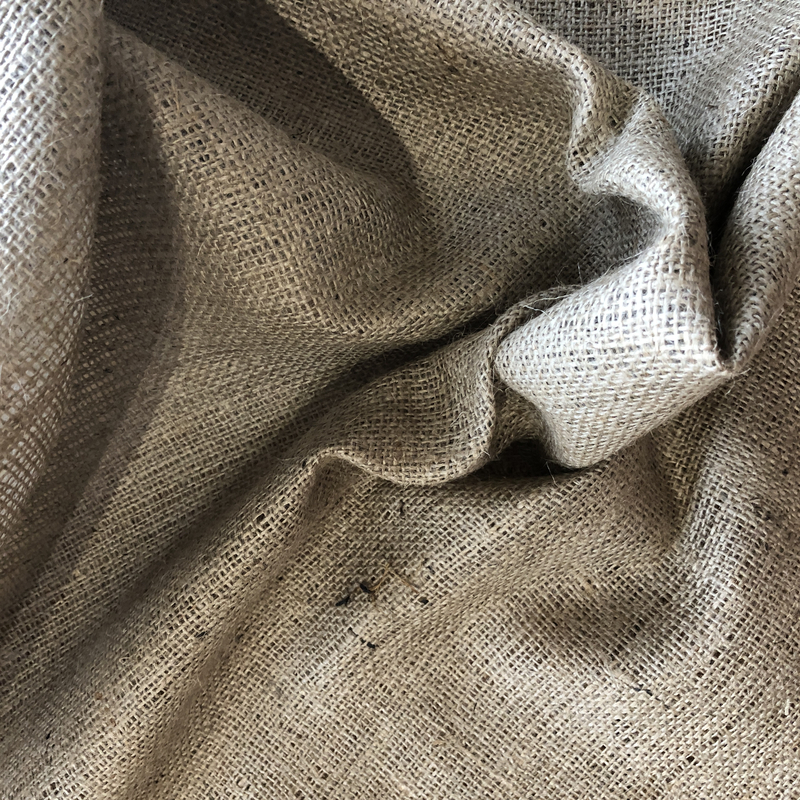 Everyone seems to want this stuff – it’s one of our most popular fabrics and we are constantly re-stocking, but it seems it’s used for everything except dressmaking…unless of course you want a “hair shirt” or to wear “sackcloth” on Ash Wednesday. Shipping: Hessian is often used to make sacks and bags to ship goods such as coffee beans and tea; these contrivances are known as gunny sacks. It is breathable and thus resists condensation and associated spoilage of contents. It is also durable enough to withstand rough handling in transit. Hessian is also commonly used to make effective sandbags; hessian sacks filled with sand are often used for flood mitigation in temporary embankments against floodwaters or field fortifications. Hessian is also often used for the transportation of unprocessed dry tobacco. This material is used for much the same reasons as it would be used for coffee. Hessian sacks in the tobacco industry hold up to 200 kg (440lb) of tobacco, and due to hessian’s toughness, a hessian sack can have a useful life of up to three years. Landscaping: we’ve seen this useful fabric used to wrap the exposed roots of trees and shrubs when transplanting. Art: Hessian is used by artists as an alternative to canvas as a stretched painting or working surface.